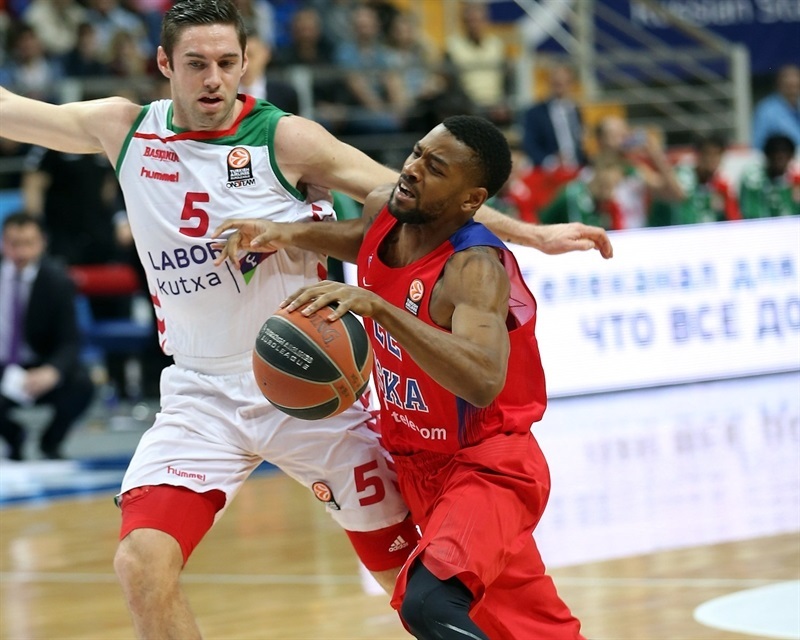 CSKA Moscow took possession of first place by downing visiting Laboral Kutxa Vitoria Gasteiz 90-78 on Thursday and found out later in the night that it had become Group F's first playoffs qualifier, too! CSKA improved to 8-3, which was enough to assure its playoffs place after FC Barcelona Lassa beat Real Madrid later on Thursday. Laboral dropped to 7-4 and stayed in second place, one victory ahead of its Spanish rivals. 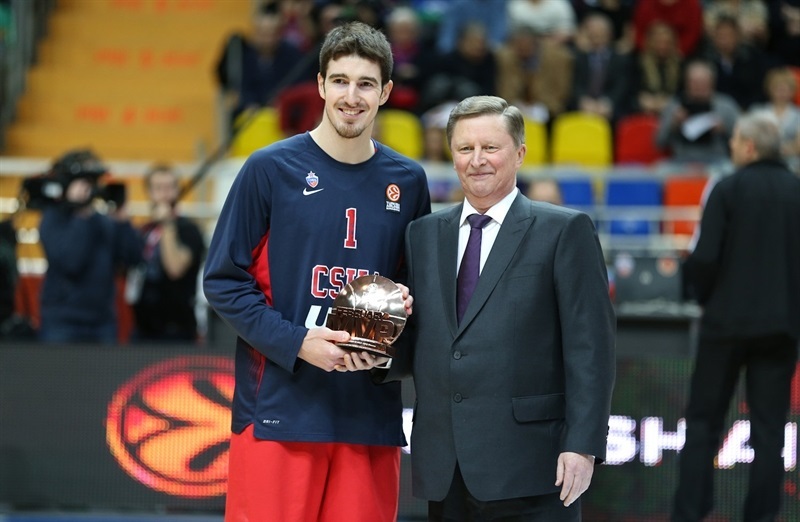 Nando De Colo led the winners with 19 points, 16 of which came after halftime. Cory Higgins added 18, Andrey Vorontsevich and Milos Teodosic each had 17 while Joel Freeland pulled down 10 rebounds for CSKA. 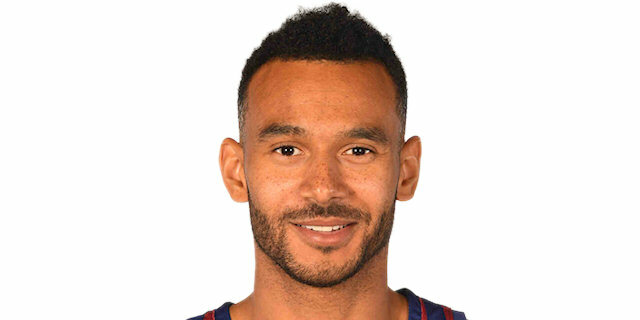 Adam Hanga led Laboral with 19 points. 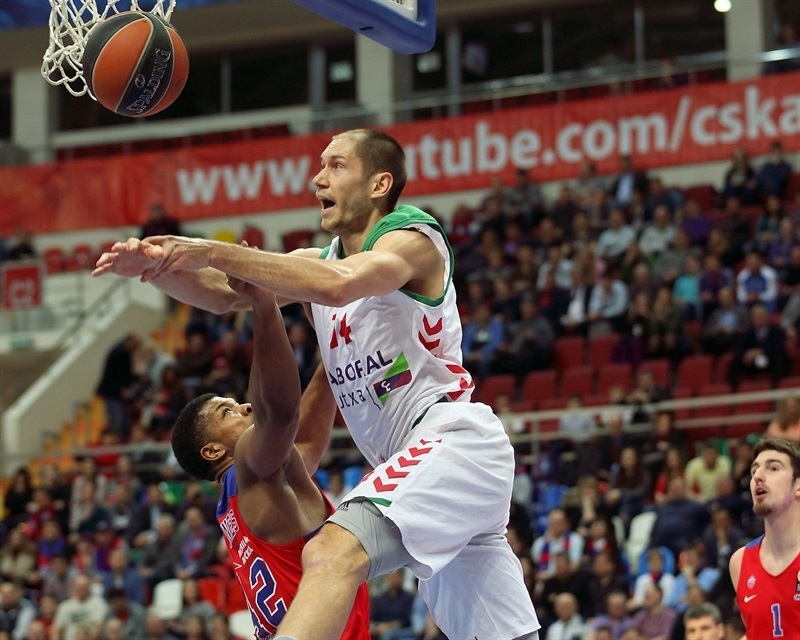 Fabien Causeur added 11 while Ioannis Bourousis and Darius Adams each had 10 for the guests. Adams and Hanga shined early as Laboral took a 10-12 lead. Higgins and Vorontsevich stepped up then for CSKA to go ahead 20-14 after 10 minutes. A three-pointer by a red-hot Higgins soon made it a double-digit game, 26-16. 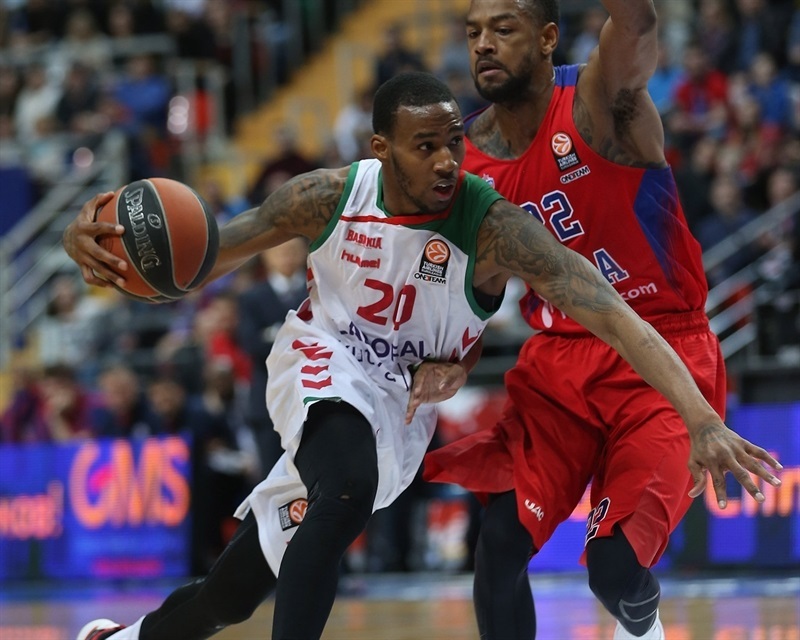 Pavel Korobkov and Kyle Hines took over for CSKA before 3 free throws by De Colo fixed a 40-26 halftime score. Hanga and Jaka Blazic brought Laboral within 56-49 in the third quarter, but Vorontsevich and Higgins let CSKA to restore a 68-56 lead after 30 minutes. Bourousis brought his team a bit closer, 76-69, in the fourth, but De Colo stepped up in crunch time and a late three-pointer by Teodosic allowed CSKA to get a tie-break advantage over Laboral, too. Hines got CSKA going with a layup and a big block on Fabien Causeur. Nikita Kurbanov matched Causeur's fastbreak basket with a layup but a three-pointer by Adams gave the guests their first lead, 4-5. Kurbanov split free throws and Vorontsevich bettered Kim Tillie's power layup with a bomb from downtown, good for an 8-7 CSKA lead. Hanga split foul shots and matched Vorontsevich's six-meter jumper with a put-back basket for a 10-10 tie. Bourousis found Hanga for a wild backdoor slam and had a huge block on Freeland that Causeur to sink a jumper at the other end, forcing CSKA to call timeout at 10-14. Higgins stepped in with a driving layup and a catch-and-shoot three-pointer that put CSKA back in charge, 15-14. Vorontsevich banked in an off-balance shot, Teodosic hit a technical free throw and a power basket by Higgins boosted the hosts' lead to 20-14 after 10 minutes. 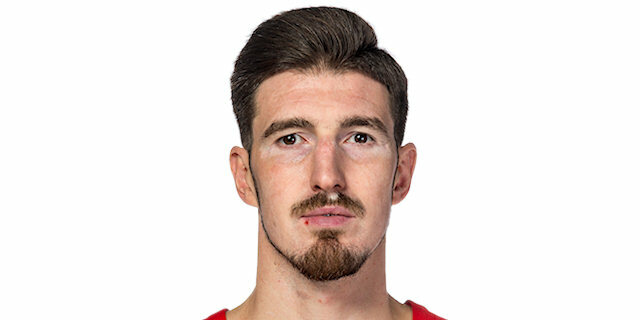 Davis Bertans hit a backdoor layup for Laboral early in the second quarter that Joel Freeland erased for CSKA with a jump hook. Vorontsevich split free throws as CSKA improved its defense, not allowing Laboral to circulate the ball. Teodosic found Higgins for a corner triple that made it a double-digit game, 26-16. 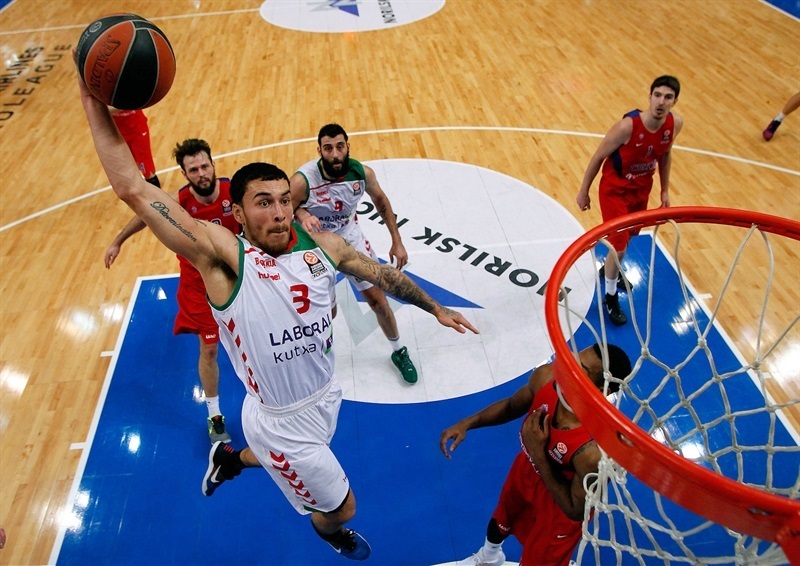 Mike James provided a highlight with a wild acrobatic basket that the red-hot Higgins answered with a driving dunk, forcing Laboral to call timeout at 28-18. 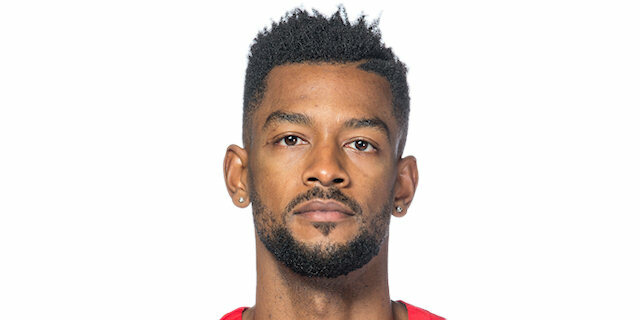 CSKA found a new go-to guy in Korobkov, who followed a fastbreak layup with a big slam off the baseline but three-pointers by Adams and Bourousis kept Laboral within 32-24. The guests tried twin point guards with James and Adams together on court but shots did not fall as Laboral made just 3 of 18 three-pointers in the half. A three-point play by Hines and 3 of 3 free throws by De Colo, who had not shot until then, boosted the hosts' lead to its biggest yet, 40-26 at halftime. Causeur tried to ignite a Laboral comeback with a driving layup right after the break. De Colo answered with a jump hook, however, and Aaron Jackson erased Hanga's layup-plus-free throw with a bomb from downtown for a 45-31 CSKA lead. De Colo and Adams exchanged layups and a five-meter jumper by Vorontsevich made it a 16-point game, 49-33. Darko Planinic came on for Laboral and scored down low before a three-pointer by Bertans gave the guests hope at 49-38. Vorontsevich kept pacing CSKA with a jump-hook but Planinic scored down low and a fast break layup by Adams brought Laboral within single digits, 51-42. Teodosic nailed a wild three-pointer and matched Jaka Blazic's dunk with an up-and-under layup. Hanga stayed on fire with another three-point play and Blazic added a backdoor layup for a 56-49 score, as close as Laboral had been in some time. 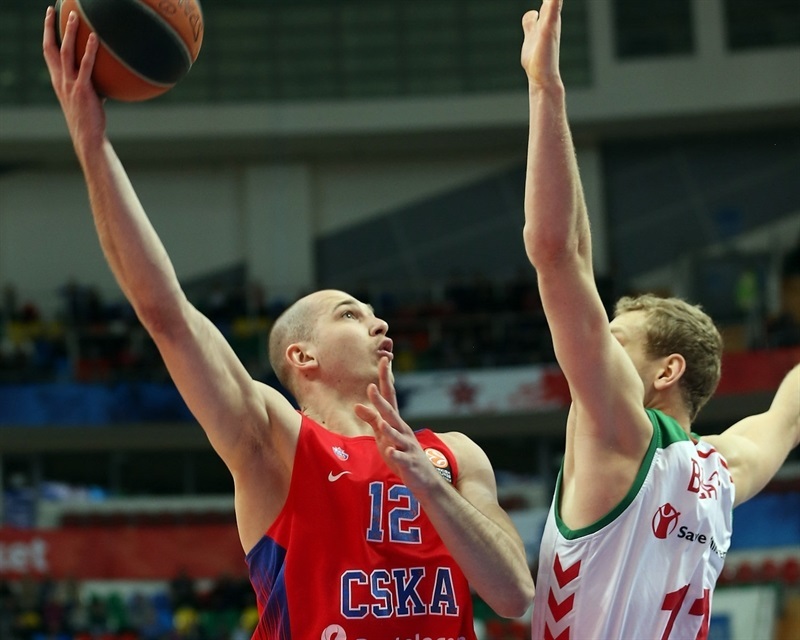 Vorontsevich rescued CSKA with a three-pointer and Teodosic gave his team a 61-49 edge. Tillie and Hines traded baskets and a layup by Bourousis kept Laboral within 63-53. De Colo hit a mid-range jumper and three-pointers by Hanga and Higgins fixed the score at 68-56 after 30 minutes. James buried a huge step-back jumper early in the fourth quarter but Teodosic quickly answered with a layup in transition. Higgins beat the shot clock with a bomb from downtown before Causeur and De Colo joined the three-point shootout for a 76-61 score with 7 minutes left. Tillie scored around the basket and a floating layup by Causeur made CSKA call timeout at 76-65. Tillie split free throws and Bourousis hit both of his at 76-68. 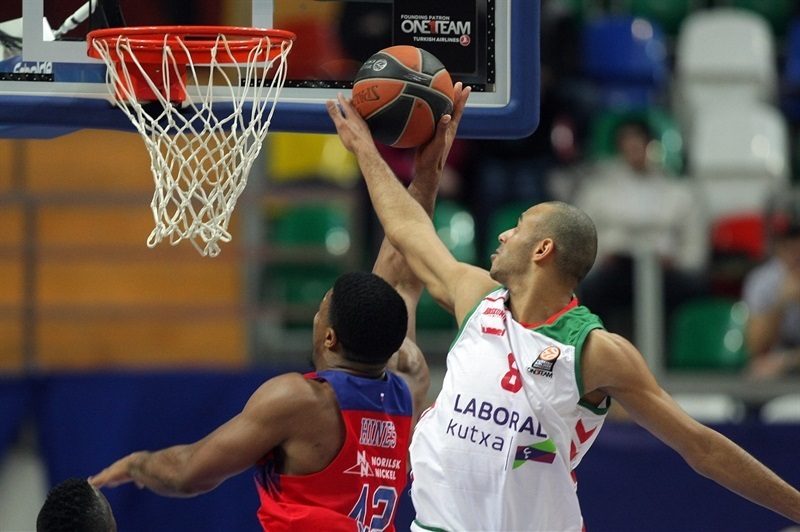 CSKA kept missing open shots and Bourousis brought Laboral even closer, 76-69. 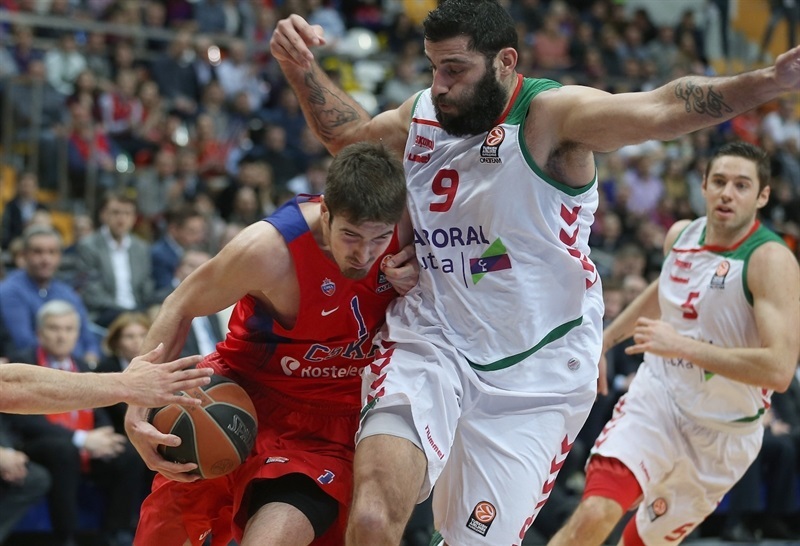 De Colo rescued CSKA with a three-point play and soon added a driving layup that sealed the outcome, 81-69. 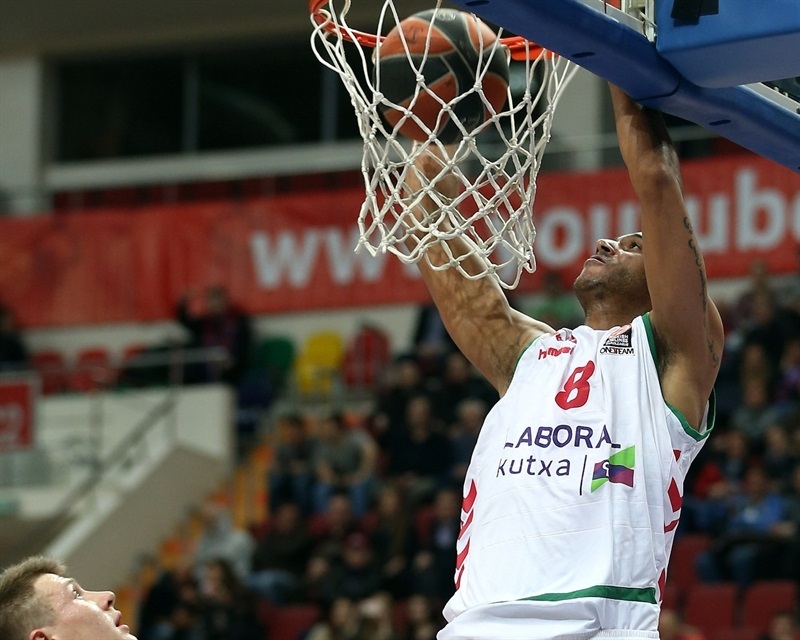 Both teams kept fighting for the tie-break advantage, however, as Laboral beat CSKA 81-71 in Vitoria. Bourousis hit a jump-hook but De Colo buried a jumper off the dribble. Hanga struck from downtown and James added a huge dunk to make it 85-78. Teodosic followed free throws with a triple that allowed CSKA to do everything it wanted, take over first place and get the advantage in case of a tie with Laboral at the end of the Top 16. "I think we've seen two different types of halves. We were very good defensively in the first. And we gave up some easy things in the second half. Due, though, to the quality that Laboral has as a team and as individuals. But with all respect to them, we gave up a lot of easy three-pointers and some second chances. Congratulations to my team. We have won, and we won also the point difference, which is like a double victory in such a competitive group. Congratulations to Laboral also, they played a great game. And thank you to all the fans: they believe and support the team. About the last shot for the point difference, you know that Milos is going to make shots. I talked with him also at halftime, when he was 0 for 4, that he doesn't have to be nervous, that he's going to find the rhythm and make shots. And this one counts like he made 10." "We started well, we were convincing and decisive. We followed our plan and dominated in the first half, offensively and defensively. We allowed Laboral Kutxa, a talented team offensively, to score just 26 points. Still, we knew that they are able to get back to the game using their creative guards, Bourousis on the block, Bertans who can spread the floor. 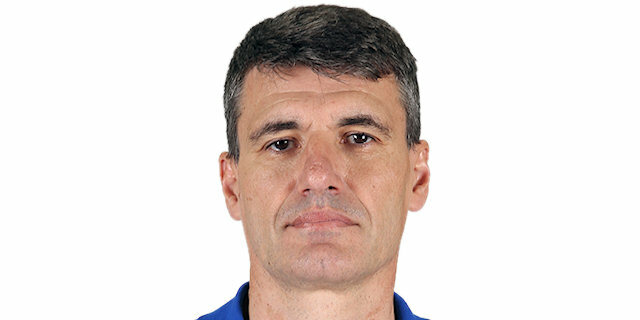 Laboral plays consistently this season and has all our respect. We did not defend well after the break, but we used Cory's hot hand, then Nando took his turn. You cannot describe everything by the numbers. For example, Freeland made just 1 of 6 shots, but he had 10 rebounds and contained Bourousis. Milos missed some good shots, but he found open shots and created for his teammates. On the last possession Nando, who was hot in the end, had the ball but he waited patiently for Milos to come off the flare and found him for a good shot. My congratulations to the team. It was not easy to win in a nervous game against a very good opponent, and to win with the difference needed. I would like to thank our fans also. They supported us well throughout all the game, in good and bad moments, and helped us a lot." "Congratulations to CSKA. It was a well-deserved victory. I think the first two quarters were the key. We had problems, we managed to score just 26 points. In the second half we played better, especially on offense. We scored but it was very difficult to keep up with CSKA, the team that has quality to play one-on-one, to make difficult shots. We tried but we could not win the game, nor defend the 10-point difference that we had in Vitoria." "It was a big game, everybody was focused and ready to contribute and do everything for the win. We followed the plan step by step, so finally we had a good result." "All the games are very difficult to win. We saw it last week in Barcelona: we had the game, and then we lost at the end. Today we knew that we played at home, we needed to get this victory, and we did it. This is the most important. We need to keep practicing hard and playing every game like a final. We need to be ready for what's coming next." "When two teams leading in the group like us, of course you wanted to come here, compete and win. But we did not succeed, and lost by more than 10 points, so it's bad for us. I think we have to go back to the way we worked before, especially on defense. I know what our team is capable to do. Three games to go and I hope we will show our best. Everything is in our hands. We want to be in the playoffs and we can be there."